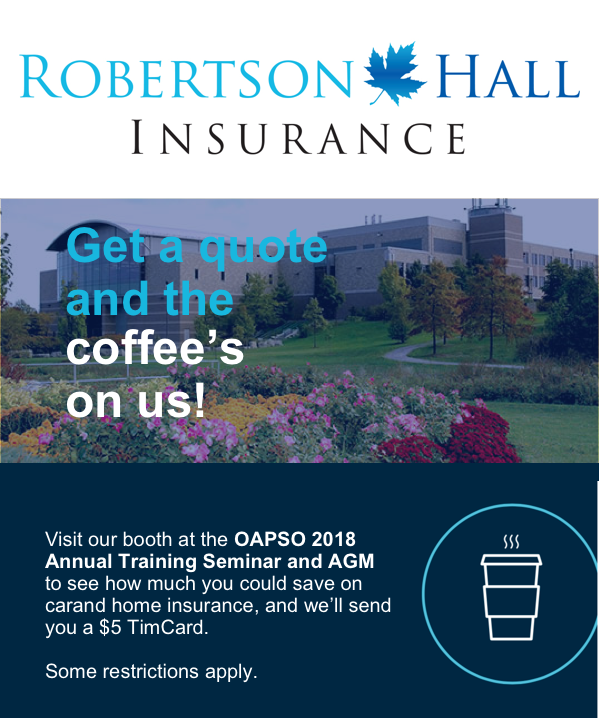 Robertson Hall Insurance, providers of Group Insurance to the OAPSO attending the OAPSO AGM May 27. Did you know, that as a member of OAPSO you are eligible for discounts on home and car insurance through your Group Insurance Plan? Call Robertson Hall Insurance today for a no-obligation quote to see how much you will save.